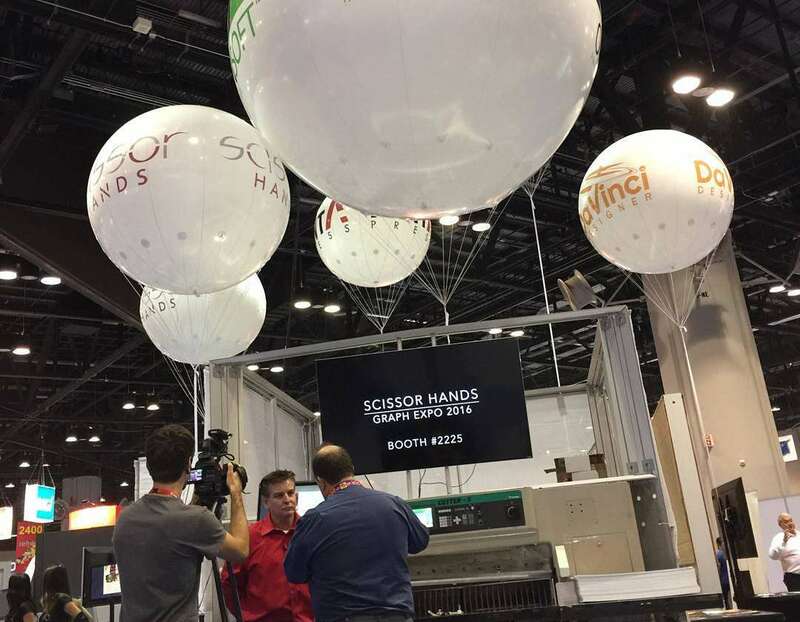 The 2015 Must See ‘Ems Award winner for cutting edge automation, Scissor Hands again won over attendees at Graph Expo 16, one of the largest displays of live running print equipment in the Americas, held Sept. 25-28 in Orlando, Fla. 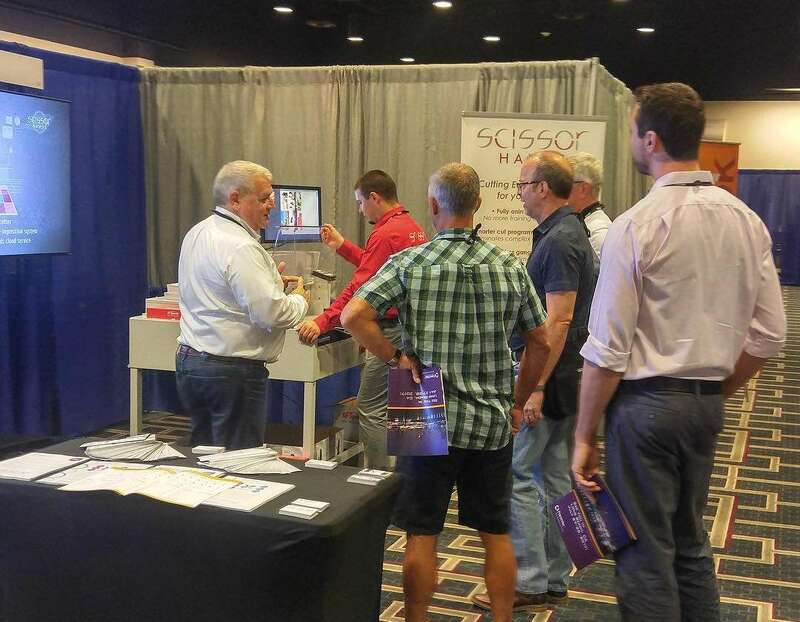 This year, attendees had a hand in live demonstrations of the binding automation software. 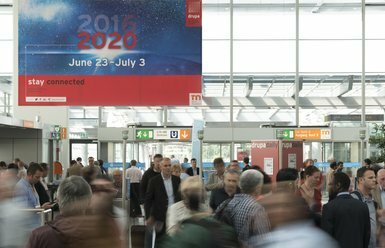 Graph Expo attendees became fully qualified guillotine cutter operators. After approximately three minutes of training on button locations and safety features, attendees could test the software right on the show floor. Okay. 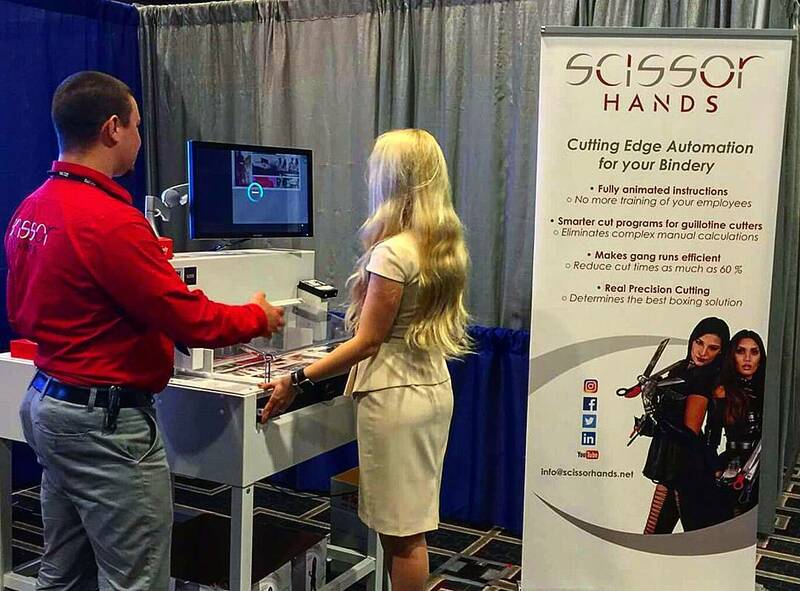 With Scissorhands software, we automate cutters. We take the JDF in the PDF from your pre-press, we send the JDF up to the cloud and create a cut course that will then program your cutter. The PDF stays in your shop, so no one can ever see the image. It’s all secure. Then, one day we optimize, find the best cut course out of hundreds to cut this in the least amount of time.